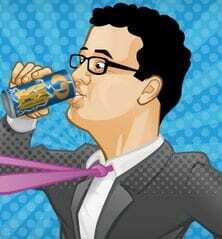 Using WordPress SEO by Yoast? Update it now! The very-popular WordPress SEO by Yoast – which I really like and use in almost all my client sites, and my own – was found to have a security vulnerability today that makes it more open to hackers. This plugin is used by over 14 million WordPress sites, so this is a big deal. The plugin has already been updated to fix the security hole, so please update it on your site(s) now. WP Minder client sites have already been updated, so you are taken care of. For information on the problem and how it was found, read more here.